First and third Tuesday of each month at 7:00 p.m. Meetings run up can until 11:59 pm unless they are adjourned earlier or Council votes to continue past midnight. 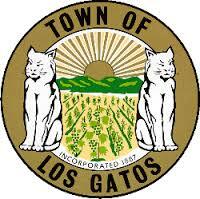 The Los Gatos Town Council meet regularly on the first and third Tuesday of each month at 7:00 p.m. in the Council Chambers. Special meetings are called as necessary by the Mayor and noticed at least 24 hours in advance. The public may review agenda and staff reports at the Los Gatos Library, 100 Villa Avenue or online at www.LosGatosCA.gov beginning at 7:00 p.m. the Thursday evening before each Council meeting, and at the Town Clerk's Office at 110 E. Main St. beginning Friday morning at 8:00 a.m. The agenda and staff reports, including any additional material provided to Council after the distribution of the regular packet, are also available for viewing in the Council Chambers lobby during the Council meeting. For inclusion in the regular packet provided to Council Thursday evening, public comments must be received by 11:00 a.m. Thursday before the Council meeting. For inclusion in any Addendum provided to Council Friday evening, public comments must be received by 11:00 a.m. Friday before the Council meeting. For inclusion in any Desk Item provided to Council on the day of the Council meeting, public comments must be received by 11:00 a.m. on the day of the Council meeting.